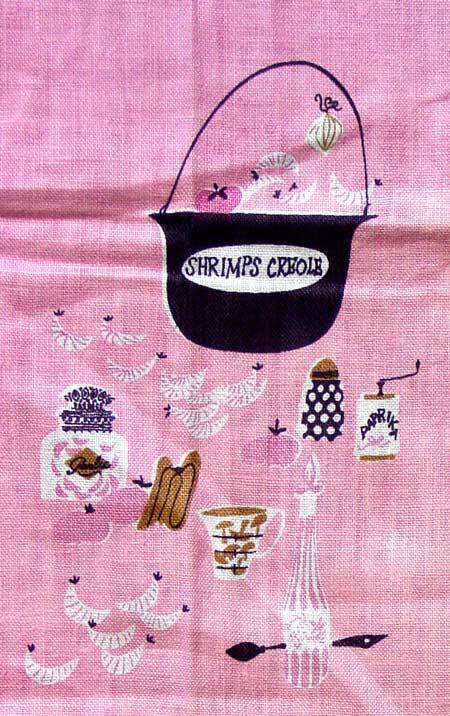 Love the Dish Towel! Love it! 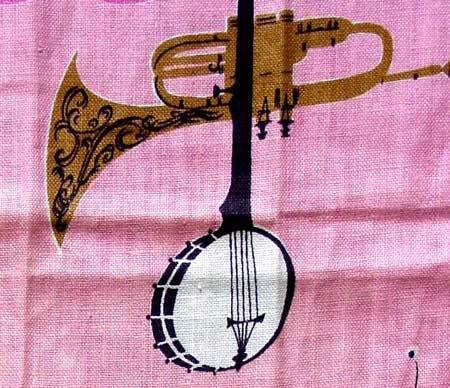 Several years ago, I came across a fantastic dish-towel. This sounds sort of sad; like I live a small life and get excited by a dish-towel. But you will love this one. That's an order. Love it. The signature reads. 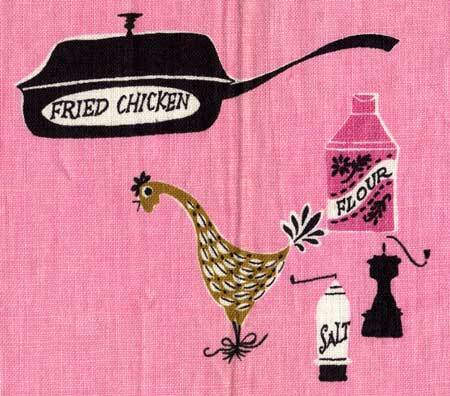 “Pat Prichard,” who also designed dinnerware, handkerchiefs, and other assorted textiles. We had high hopes of writing a book about her work, but have been unable to find any information. The artifacts were created during the 1950s and 1960s and reflect the values and undercurrents of the era. Her choice of places as subject matter is interesting; they typically follow a idealized Americana. 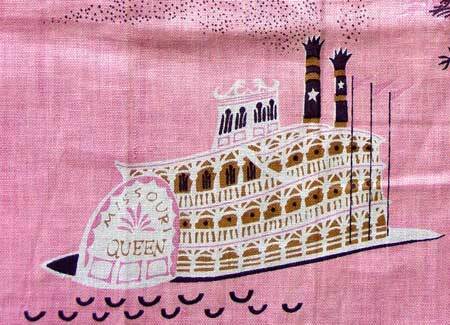 This depiction of the Mississippi and New Orleans tells the story with the Missouri Queen and Robert E. Lee Steamboats, a pot of shrimps creole, a banjo, chicken, and fried chicken ingredients.